This Half-Size is divided into 9 different-sized compartments. 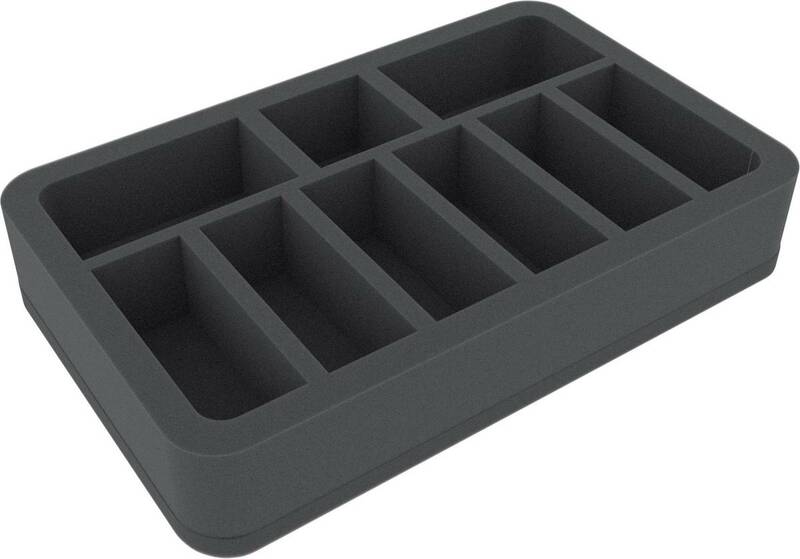 It is best suited for elongated tabletop and board game miniatures, e.g. warriors carrying swords or lances.